You Craft Me Up! : Giveaway #3! Man I am having FUN!!! Can't wait till noon when I get to announce my first winner! For this giveaway, I thought I would do one myself! Seeing as how this is a CRAFT blog, I thought I would giveaway one of my creations! craft from the list below. you to finish- whichever you prefer! A set of 3 of my "emergency room pumpkins"
Good luck choosing one! And good luck winning one! Remember, to enter, LEAVE ME A COMMENT, and you must be a FOLLOWER! Winner will be announced Friday at noon! Wow!!! I became a follower of you a few days ago because I saw your crafts somewhere and LOVED them! I especially enjoyed reading about your ER pumpkins because it sounded so familiar to things my almost two year old does, as recent as yesterday! Don't worry, she's fine. And I also have an old bottle of crackle paint somewhere! As much as I love all your crafts, I would have to say that I'd love the plaque on the stand. I do make a lot of 2x4 crafts already and we're building a house right now (I think I'm driving my husband crazy telling him not to throw away any scrap wood because I can make crafts with it!!!). Anyway, I love the message on it and it would be unique in my new home!!! Good luck with your first giveaway! I hope i'm lucky number 2! 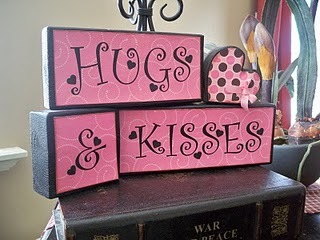 I love all your cute craft ideas they are so cute. Thanks for sharing your talent with us! This is tons of fun! Love that you are giving one of your own creations away! So cute. You have such great projects and I LOVE all of them. However the chunky flowers would be great for my front porch! Would love one of these craft projects! I love all your crafts and ideas! Thanks for inspiring us all! I follow! 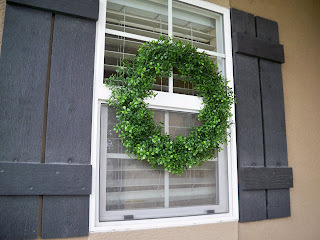 I love to look at your fun crafty ideas and more. It would be hard to decide. WHAT?????!!!! What a totally cool and exciting giveaway. You know I'm a fan of your work! You know I've thought about moving so I can attend your classes! Wow! This is such a fun giveaway. Please, please enter me! I'm a follower. Wow, you are truly talented. Each piece you make is beautiful. It is hard to pick just one for sure. Thanks so much for the chance. Such cute stuff! I would love any of them! I love them all!! So cute!! Look at you go!!! You are amazing! I have been stalking your blog for a while...finally became a follower. Love your ideas! I always look forward to seeing what awesome ideas you will come up next! Wow a personally made craft by Maria...I should be so lucky. I am entered!! NO WAY!!! I would love to win anything you have made, but your "Family is everything" is my favorite!! I changed my mind a few times just scrolling down--what cute stuff! 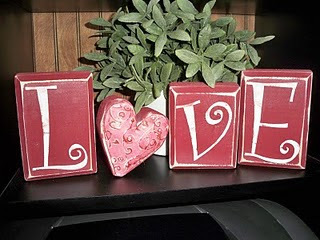 I love love your crafts... All of them are so cute. You are so talented. I am a follower and would love the chance to pick one of your creations. First of all- I love your blog's name! :) So cute. 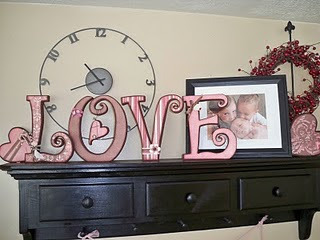 And I also love these crafts. Add me to your list of followers and you list of people who wanna have some of your talent in their home. Happy you are having fun doing this, but not as happy as we are doing it. Thanks for being so crafty. Your daughter shares your talent! Her name that she did today was so cute. Just so you know, your link to house of smiths just cost me 2 days...but I now have an awesome laundry room! I so want to win this one!! Pick me! I hope this is open to Canadians?? Once again I love everything that you make and only wish I could be your neighbour!! Always would love more Maria decorations! I am a follower!! I love the family is everything craft. So cute!!! I would love to win one of your beautiful creations!! I have three favourites...would be hard to choose, but I'd love to win one! Thanks for the giveaway! I had so much fun at your craft night! I love your 'luck' sign! Oh my gosh, that Family one is to die for! You are so dang awesome! I was just remembering that Tazmanian Devil you drew me in 8th grade....you were WAY too good of an artist for 8th grade. No wonder you're so amazing now! Thanks for the chance, your crafts are lovely. I am a new follower! Your stuff is beautiful! I'm a follower. You have such adorable ideas and a unique spin on things. I love it! I just found your blog and I love it! You have such cute things! too cute. you are so crafty. we can use some of that. I'm so glad I found your blog, what great stuff! I like the family is everything sign the most, I think, really hard to choose. I love the Family blocks!! I love the small plaque on a stand...so cute. I am a follower!!! I love the Family blocks. And you are right it is hard to pick one. I'm following! I like the Family in green!!! Awesome work! 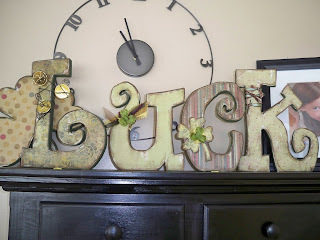 I LOVE your family blocks.. or the flowers.. and the luck man i just love them all! I"m a new follower! What a beautiful item! I would love to win. I am a follower! I LOVE the family is everything blocks!